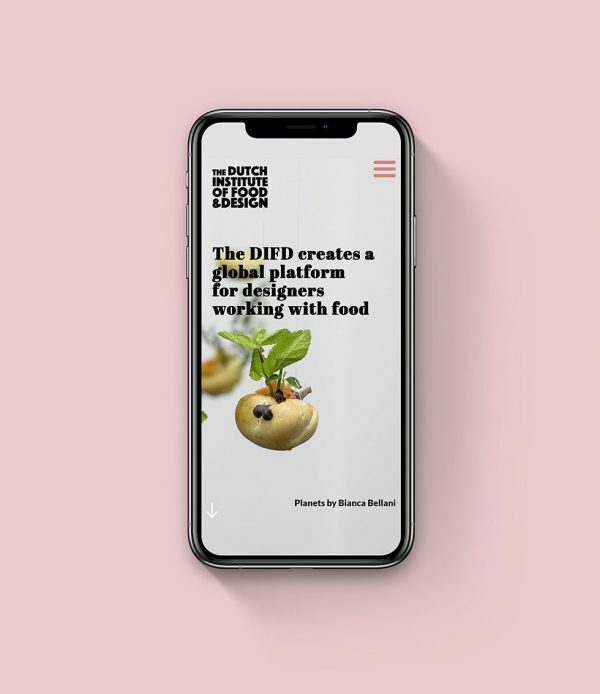 The Dutch Institute of Food & Design together with Food Cabinet asked Wunderwald to built a dynamic website for the DIFD platform, which shares the project’s values and builds engagement for it’s goals. The Dutch Institute of Food & Design creates a global platform for designers working with food and eating. The DIFD explores how we create food and what, why and how we eat. It shows the relevance of food connected to design and design connected to food. DIFD’s goal is: to enrich eating cultures and address the societal and environmental challenges around food using design as a tool to achieve this. The Dutch Institute of Food & Design is an initiative of Marije Vogelzang and Helen Kranstauber (Food Cabinet).